Sunday Dinner Recipes + March Favorites 2014 Video! The Foodie collection is part of a publisher program from Foodie by Glam. 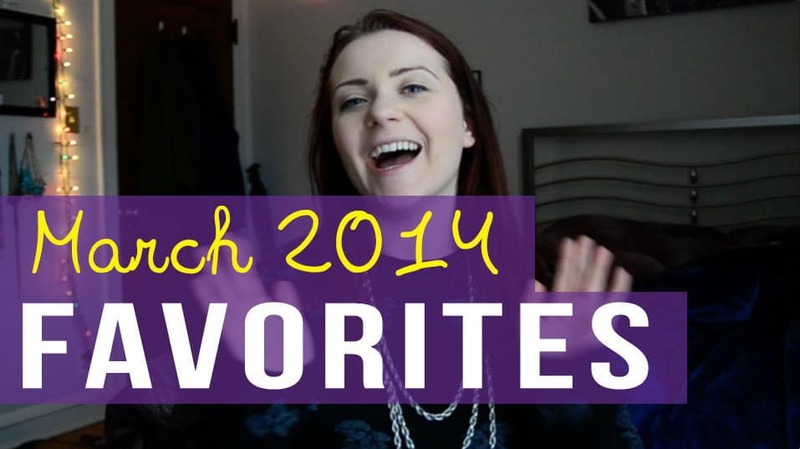 Before we move forward, I want to say I am excited to share this month’s Monthly Favorites video because a lot of the things that are featured in it are actually courtesy of the amazing Liz Wolfe of Real Food Liz (formerly known as Cave Girl Eats). Yes. This means there are plenty of fun paleo treats to expect in the video. As for Sunday.. who doesn’t love Sundays? I mean. I love Sundays. I love all days. But Sundays are especially nice because they are more laid back and relaxing. No work (unless you’re me, of course, since I work around the clock 😉 I love you that much!) but honestly most of my Sundays are spent in the suburbs with my parents so I do get to relax. Another great thing about Sundays is a tradition that many people hold – Sunday Dinnah! That’s right – the fabulous dinner that is basically the culmination of the best of the best for the family. Unfortunately, Sunday Dinner is not something that is prevalent in my home or family since I live alone but I know a lot of people do it so I decided to put together some great recipes you can use in your next Sunday dinner family cooking extravaganza. Enjoy! Okay, time for the video! Wee! Enjoy these paleo goodies and more. This month we have some fun goodies I got from participating in Liz Wolfe’s giveaway for the launch of her book (yes, I won that gigantic giveaway – woohoo!) I haven’t had the chance to try all the stuff so I’m only mentioning some things I got first and actually tried for a while. I’m sure I will cover the others in future video or posts. The video includes Steve’s Paleo Starter Kit and Buffalo Gal Grass-Fed Beauty. For other fun things are Danielle Laporte’s The Desire Map, as well as The Strengths Finder Test and Unconscious Branding, three interesting books worth looking into. Lastly – BIG ANNOUNCEMENT AT THE END! And something I got for you FOR FREE! So make sure to watch till the very end! Email me if you are interested in participating! What is your favorite thing from the video? Also, do you participate in the big Sunday Dinner tradition? No big Sunday dinner here. However, I do have an obsession with sweet potato fries and those look good.